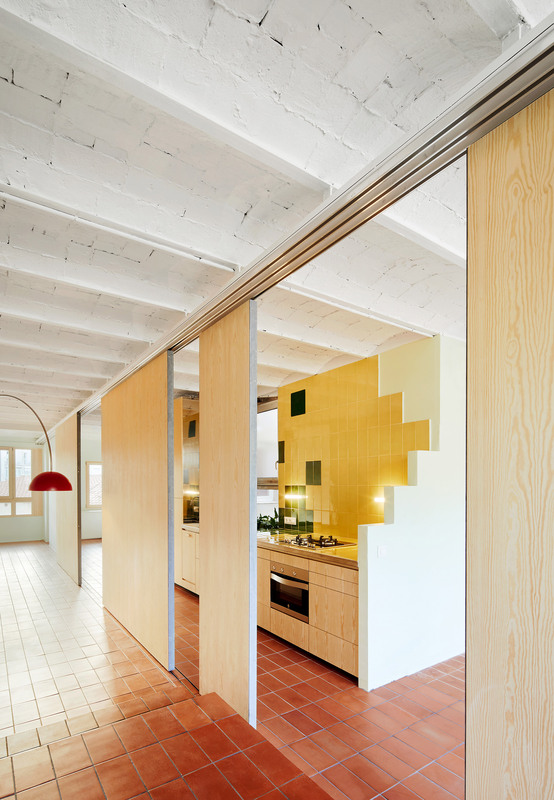 Escolano + Steegmann creates apartment that recalls rooftops of Barcelona - Dr Wong - Emporium of Tings. Web Magazine. 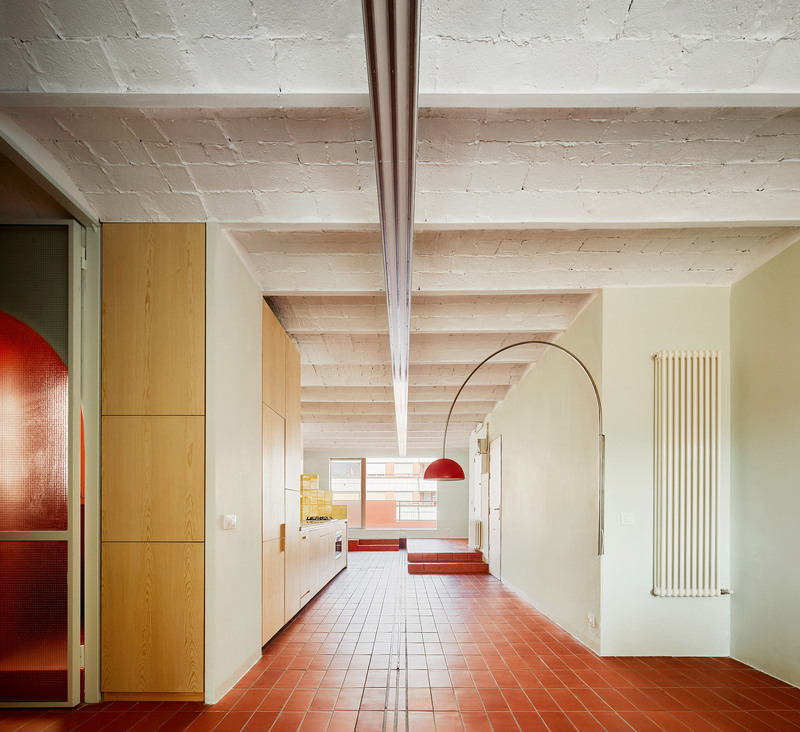 Bold geometric shapes and terracotta tiles are used to reference the city rooftops in Escolano + Steegmann’s renovation of an apartment in Barcelona. The architects said the use of this open-plan social space is open for interpretation, but it’s primary function is to allow light to travel from one end of the apartment to the other. “The sliding surface filter works as a dynamic device that introduces complexity into the plan, allowing the construction of various forms of spatial arrangement, subject to different degrees of privacy or mutual exclusion” explained the architects. The architects deliberately used specific materials to define the apartment’s movable and static elements. 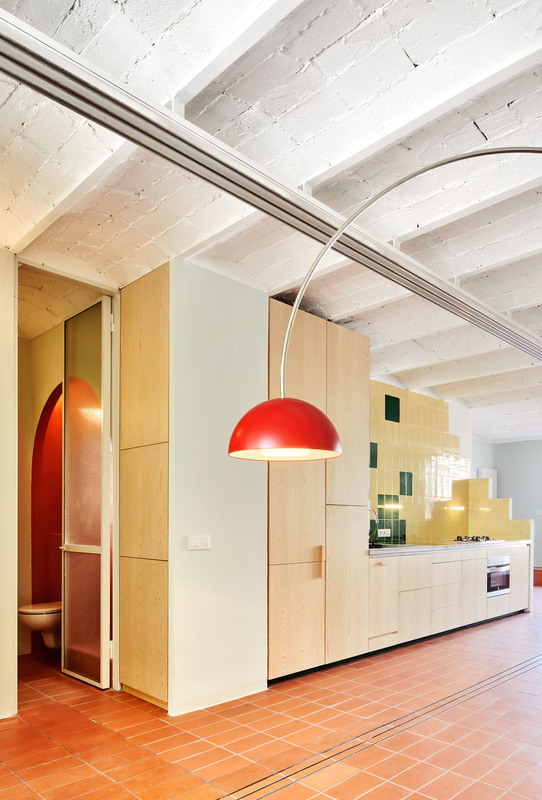 The geometric shapes and elements used in the apartment are also designed to reference the shape and colour of the city’s buildings and rooftops. 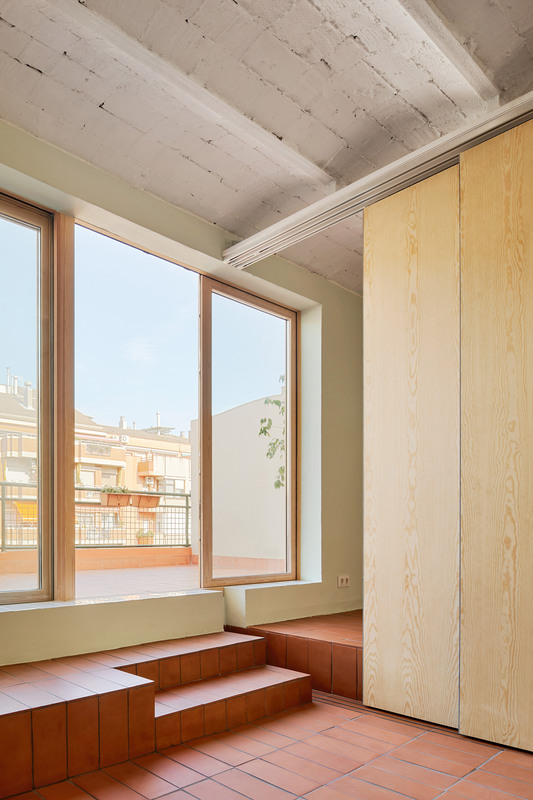 The post Escolano + Steegmann creates apartment that recalls rooftops of Barcelona appeared first on Dezeen.